Airtech Asset Services' mission is to become one of the industry leaders in the field of services, maintenance and repair of Commercial, Retail and Industrial, Heating - Ventilation - Air Conditioning & Refrigeration Equipment. Airtech Asset Services provides programmed and scheduled and unscheduled repairs and maintenance of commercial, retail and industrial, heating, ventilation, air-conditioning and refrigeration equipment. Airtech Asset Services' team members are all industry qualified, from business management and administration through to the technical mechanical and controls service technicians. 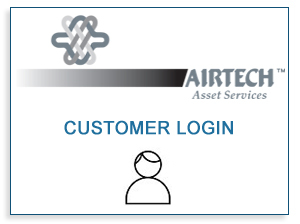 This gives Airtech Asset Services the capabilities to deliver its exceptional customer service, technical expertise and professionalism to its customers on a day to day basis.